Charles Bayliss was born at Hadleigh, near Ipswich in Suffolk, England, and arrived in Australia with his family four years later. His early interest in photography was aroused by Henry Beaufoy Merlin. He eventually became Merlin’s assistant and the two worked under the name of the American and Australasian Photographic Company, photographing extensively throughout Victoria and New South Wales. Patronised by a successful emigrant prospector, Bernard Otto Holtermann, they documented the progress of such regional centres as Hill End, Bathurst, Dubbo, Carcoar and Goulburn. After Merlin’s death in 1873, Bayliss continued this work. 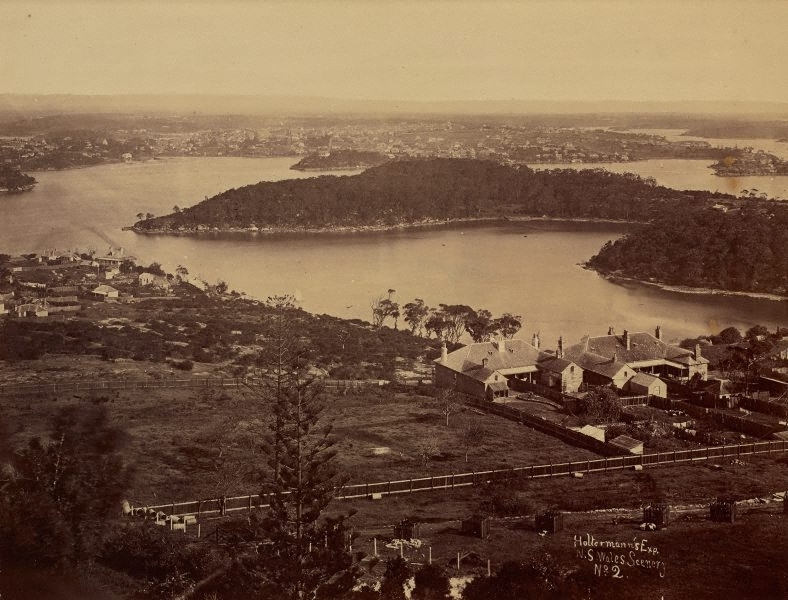 He eventually established his own studio in Sydney in 1876, advertising himself as a ‘Landscape Photographer’. He died at the age of 47. 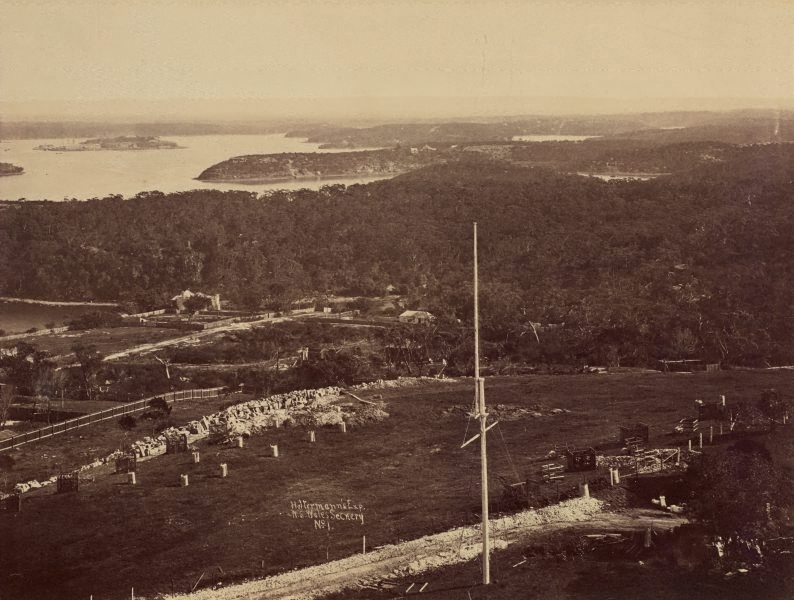 Bayliss produced this wet-plate panorama in 1875 from the 27-metre-high tower of Holtermann’s home in Lavender Bay, where Sydney Church of England Grammar School (Shore) now stands. In the top of the tower, with the windows boarded up, Bayliss installed a recently acquired large-format camera. The 100-inch telephoto lens had a vision of six kilometres. Below the camera, a darkroom was fitted-out for the sensitising, exposing and developing of the large sheets of plate glass. 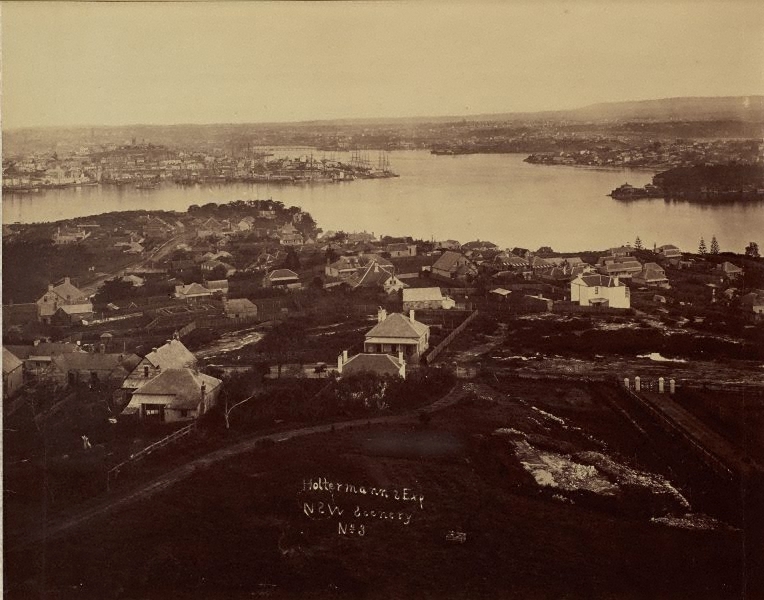 This view was captured on two single negatives, each measuring 90 x 150 centimetres. They were the largest photographs taken by the collodion process, at a time when techniques of enlarging had not been developed. In making this image, Bayliss was building on a graphic tradition in panoramas by such prominent colonial artists as Joseph Lycett, John Skinner Prout and Conrad Martens. 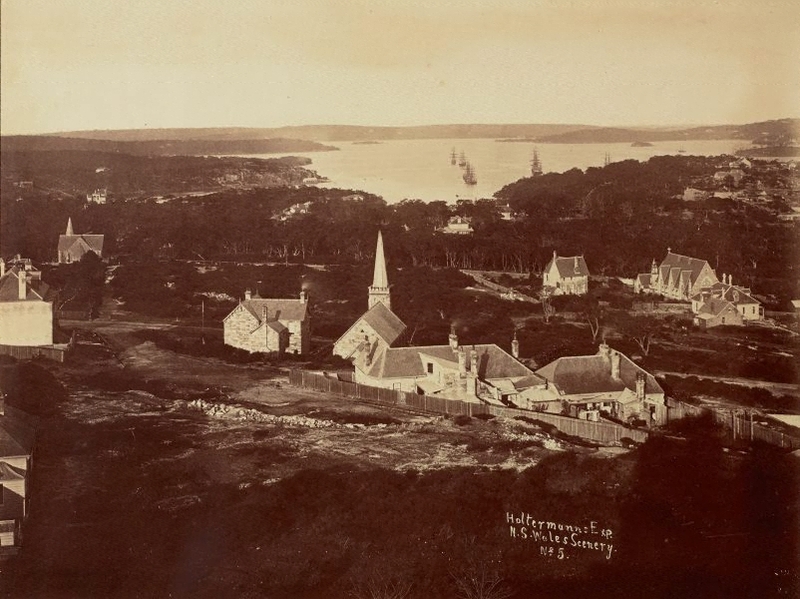 These earlier views were included in publications about the new colony, souvenir booklets, or sold as single prints. 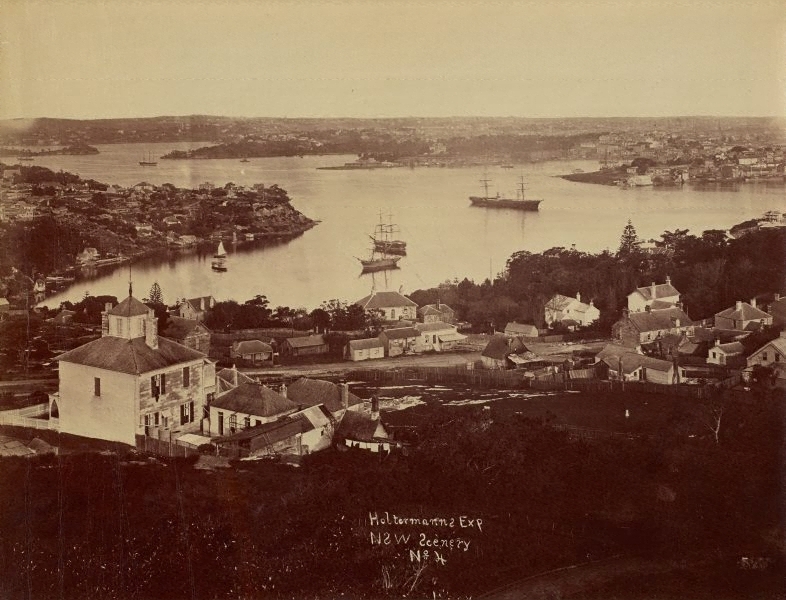 Holtermann, manager of the Star of Hope Gold Mining Company, commissioned a portfolio of images (‘Holtermann’s Exposition’) to promote Australia overseas. In 1876 a part of the portfolio was included at the Philadelphia Centennial where it received a bronze medal. Holtermann also travelled to America and the continent with the giant negatives and a large roll of canvas mounted with photographs from the project. He later exhibited some of the panoramas at the Paris Exposition Universelle in 1878. Steven Miller, Photography: Art Gallery of New South Wales Collection , 'In every house, and in every tent', pg.33-51, Sydney, 2007, 41 (illus. ).